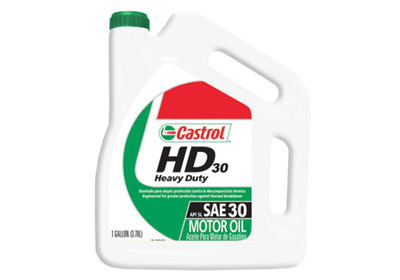 Castrol SAE-30 Heavy-duty Premium quality mono-grade motor oil, engineered for smaller cars. Maximum protection against thermal breakdown. Exceeds all U.S., foreign car and light truck manufacturer´s performance requirements for gas, diesel, and turbocharged engines. Also meets European CCMC requirements. Exceeds API SM, SL & SJ performance for passenger cars and light trucks. 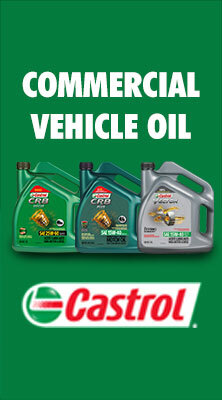 Formulated to surpass exceed the engine protection requirements for Ford ESE-M2C153 G and F, GM 6085M, Chrysler MS-6395M. Provides maximum wear protection in warm climates. Use Heavy Duty 30 when ambient temperature is above 40F.